The are many different forms of transport in Vietnam, and hopefully you’ll get to experience most of them while travelling Vietnam. We’ll arrange the longer transfers between cities for you, linking the modules together with transport options we feel best suit your individual trip. We actively encourage people to travel by local transport in Vietnam, as we feel this makes your trip a more authentic experience. It also has the added benefit of being a very cost effective way of travelling. 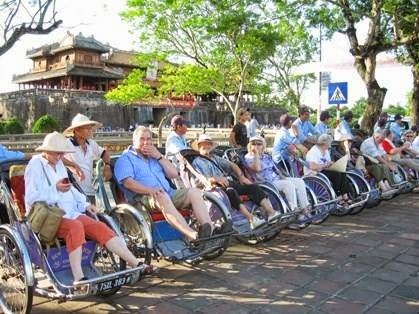 For all forms of local transport in Vietnam it’s true to say that an adventurous and flexible attitude is necessary. When it comes to punctuality and creature comforts, the transport in Vietnam can’t be compared to that of European countries. When creating your Vietnam Travel Guides, our travel specialists will use a mix of the options below for your transport in Vietnam, giving you an adventurous, and varied trip. 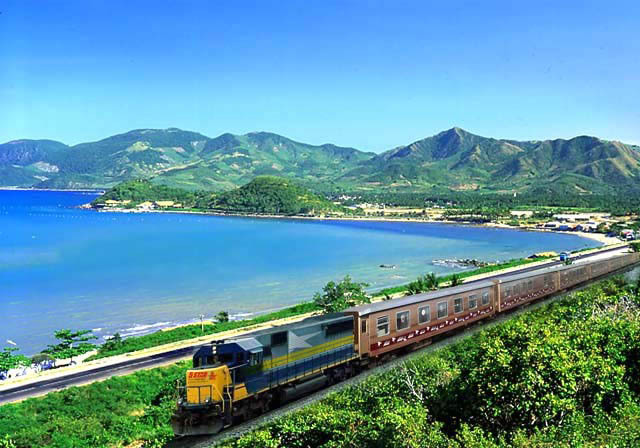 Taking the train in Vietnam is a wonderful way to get a true taste of local transport in Vietnam. Spend some time watching the beautiful countryside pass you by, whilst gently rocking to the rhythm of tracks. Train transport in Vietnam is an adventurous way to travel, but is also easy to do. There is a railway line running from North to South which stops at nearly all of the main sights along the way. For overnight trips we book air conditioned soft sleepers in 4 berth compartments. The beds are wide enough, but for tall westerners they’re a fraction on the short side, and although comfortable it’s certainly not the same refreshing night’s sleep as you would have in a hotel with all its facilities. The day trips by train are a more uncomfortable journey as you’ll have a seat in the general carriage, but on the plus side you do get to see a lot of the countryside. You’ll generally see more from a bus window than you will on the trains. On the trains you’re often not seated next to the window, and the windows themselves are pretty small sometimes with bars that can reduce the view. We therefore generally choose to arrange train travel on the sleepers, rather than on the day trains. To maximise your time travelling Vietnam it might be necessary for us to arrange one or more internal flights within your Travel Plan. As Vietnam is a long thin country, and the distances between certain highlights can be large, flight transport in Vietnam offers you the change to do in one hour what might take a whole day on a bus or train. So on itineraries where time is factor, although not as authentic as an overnight sleeper train, a quick and relatively good value internal flight is the best option. The internal flight transport in Vietnam is usually operated by the national carrier, Vietnam Airlines. Flight schedule changes are an unfortunate occurrence, and happen from time to time and which we have no control over. The times of the flights can change frequently (usually not by very much) due to unexpected circumstances. We’ll keep you up to date before you leave, but once there our local agents will do their best to solve any problems you experience, and if possible will try to arrange an alternative flight. For the shorter transfers, for example from your hotel to the airport /railway station or vice versa, it’s best to take a taxi. These are very easy to arrange locally and it’s more economical (and fun) for you to book them locally. Always look for ‘official’ taxis that are clean and generally newer vehicle models such as Mai Linh taxi. When you’re staying in the towns and cities, we recommend using bike rickshaws or motorbikes. From your rickshaw seat or motorbike you’ll get to experience the city up close and personal, and it’s fun too. These short journeys will cost on average 1-2 dollars, depending on your haggling skills! For a taxi from the airport in Ho Chi Minh City or Hanoi to your hotel will probably cost around US $15-20 dollars. The bicycle is still the most common form of transport in Vietnam, which makes cycling in Vietnam a wonderful experience.